Figuring out the best way to deploy strategy across any organization is an ongoing challenge. But there are several, fundamental tips that top performers swear by. These are the tips to keep in mind, as James Milsom lays out below. Every company has a strategy, but they don’t all meet their goals. This contrast in performance often boils down planning and execution. Once you’ve defined your strategy, then your plan to achieve it is critical. Get the details right and the rest will follow. Among the leaders, everyone in the organization should be aligned to a set of common goals and have a clear understanding of their role in achieving them. Performance should be measured on an ongoing basis, sometimes tough decisions made, and efficiencies optimized to achieve the best outcome. In other words, get a million little things right and these million little wins will add up to big victories. The gap between strategy and operations can be a chasm. But top performing companies have found a way to bridge the gap. Strategy needs to be cascaded right down to a project level and tracked constantly to ensure that people are working on the right things—in other words, actions that drive the strategy. By partnering with the business units to ensure good execution, you’ll meet far more of your goals. Every strategy is based on a set of assumptions. All too often, managers stick doggedly to a plan when even the evidence says that it’s not working. Once you’ve ruled out poor execution, you need to question underlying assumptions and, when appropriate, correct the course. Don’t assume you got it right at the beginning; keep every option open when it comes to improving your performance. For optimum performance, you should have dashboards and reports in place that consolidate data across groups, set common KPIs, and establish leading indicators to monitor your progress, continuously. 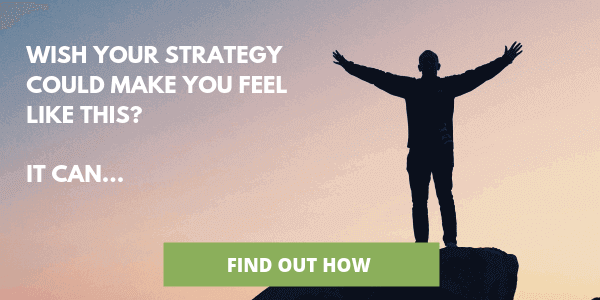 This puts you in a position to proactively manage your strategy deployment, rather than looking in the rear-view mirror at poor results and missed opportunities. If your groups speak the same language and share a common data repository then you can look forward not back, and move with agility and confidence. Your focus is critical. You should always be assessing your portfolio of projects, not only to measure progress but also to question how important each one will be to driving strategy. You need to have the courage (and data) to kill projects that are failing or not aligned to strategy, allowing you to concentrate on what’s important. Too many companies rely on clunky spreadsheets and a lot of elbow grease to manage their strategy deployment. But what kind of an impact can the introduction of a software platform have on your results? How about doubling the percentage of strategic goals achieved and reducing project cycle time by 25%? Even organizations just beginning to mature their strategy deployment efforts see compelling ROI in the first year when they take the heavy lifting out of strategy deployment by automating with i-nexus software and support. Find out more about i-nexus goal management software or ask for a personalized demo. James is i-nexus' Digital Marketing Manager. Bringing a passion for strategy from a marketing angle, you'll find he loves to intertwine sports and strategy. His background covers industries such as energy, broadband, education and employee benefits..